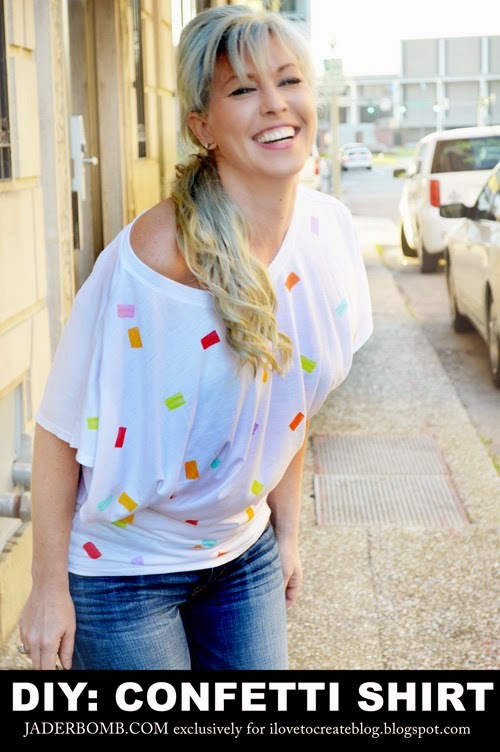 I LOVE ALL THINGS THAT ARE BRIGHT, COLORFUL AND FUN!!!! Happy Hump Day all you crafty crafters! I am on a cupcake and pink flamingo kick lately and I am into making all of my posts sweet as possible. A while back I got a sprinkled doughnut and I though as I was eating it just how cute a shirt would be with sprinkles. So, here you have it! I will show you how to become a doughnut in the most stylish way possible! Let's get started! P.S. This craft is great for kids and adults! 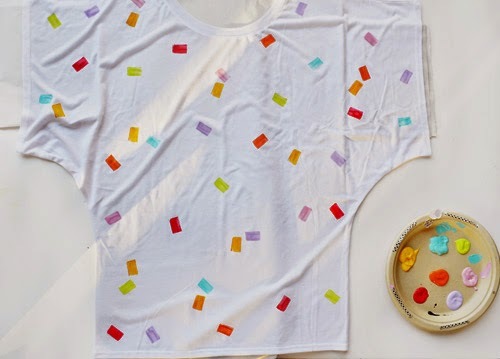 These are the colors I used for my confetti shirt! I just love how pretty they look together! 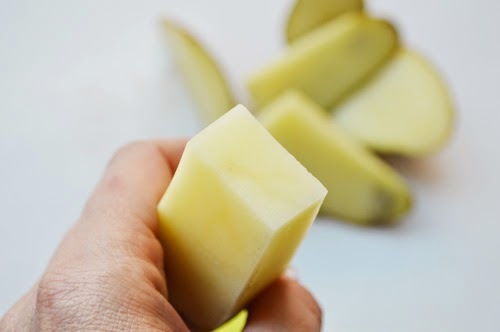 Step 1: Cut the sides of the potato until you get the confetti shape you are happy with. Please get an adult to help you with this if you need! 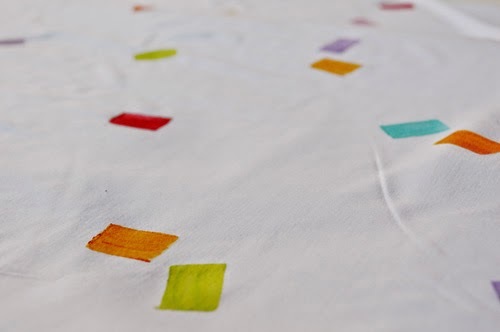 Step 2: Place paper inside of the shirt so the paint does not bleed to the back of the shirt. 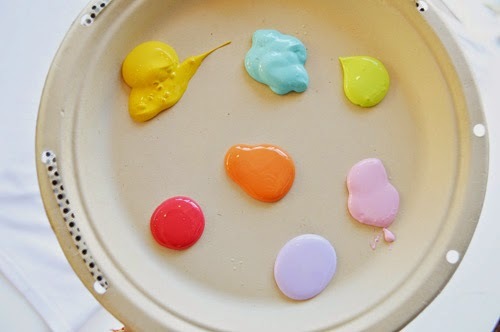 Step 3: Squirt all of the colors you are using onto a clean surface. I like to use paper plates for this. Easy clean up! 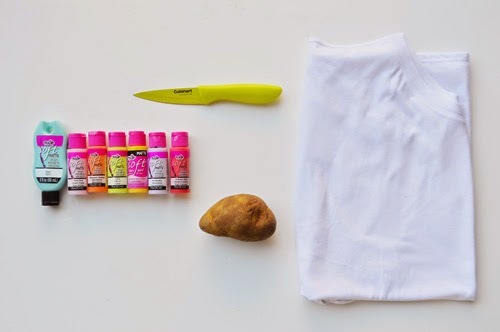 Step 4: Coat the potato with paint. 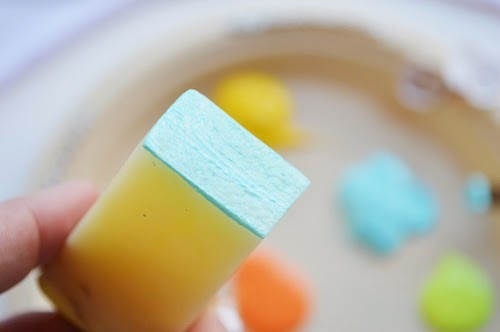 You can either dip it into the paint or use a brush to brush the paint on. 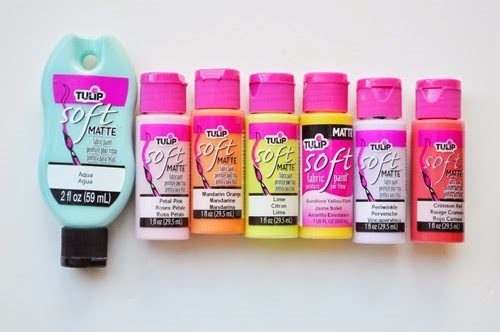 I tried both and I found brushing the paint on worked best. Step 5: Tadahhhh! Once you start adding other colors it comes to life. 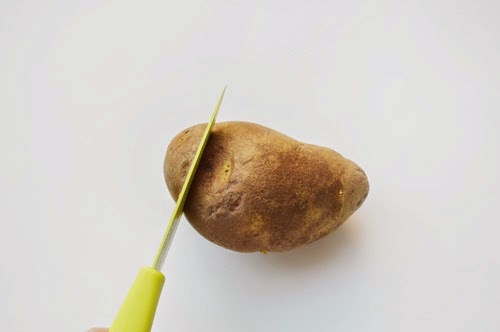 When you go from one color to the next it's best to clean your brush off and wipe the potato with a napkin. Step 6: Leave it out to dry for a few hours. I hope you enjoyed this tutorial and if you have ANY questions feel free to leave them in the comment section below! Big hugs! Hey! Wanna learn how to finger knit, come see! 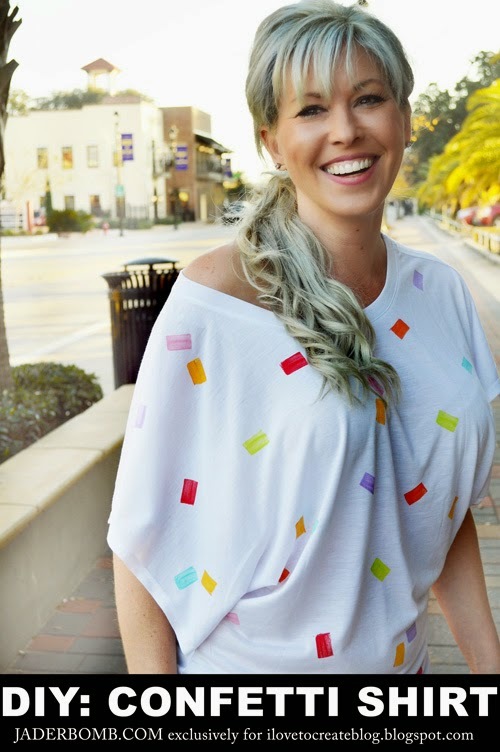 How much fun is that shirt! I feel like I may have to make myself one this summer. Can You Tell Me Where You Got The Shirt? I Love The Wide Neck And Sleeves. So Cute Cute For This Project.